Stretta Therapy For GORD Approved in China | Effective Treatment for Gastro Oesophageal Reflux Disease, painful acid reflux, heartburn, regurgitation and coughs by Stretta Centre. Clinically proven and cost effective solution for gastroesophageal reflux disease recently launched in China. Mederi Therapeutics Inc. has announced regulatory approval by CFDA and product launch in China for Stretta Therapy, a non-surgical treatment for chronic gastroesophageal reflux disease (GORD). "We are very pleased that Mederi products are now available in China. Our technology, especially Stretta for GORD, is experiencing dramatic growth worldwide. Driving this growth, are the key benefits of clinical safety and effectiveness, as well as the versatility and lower cost of Stretta compared to other GORD treatments. Stretta is a non-surgical technology, that is delivered transorally and reduces symptoms of GORD by improving lower esophageal sphincter (LES) function. It is an ideal alternative to medications and surgery for chronic GORD," stated Mederi CEO Bob Knarr. "It is very exciting to launch in China, where we are privileged to have an excellent distribution partner, Beijing Kanglian Medical." 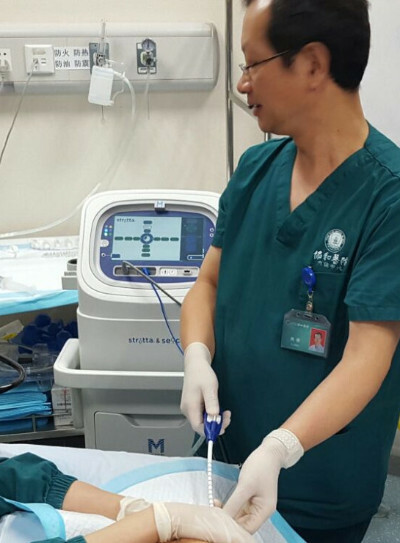 Stretta procedures were recently performed and broadcast live during the Chinese Congress of Digestive Endoscopy, by Professor Jun Liu, Director of Endoscopy at Wuhan Union Hospital, and Stretta was also performed at Beijing General Army Hospital (301 hospital). Dr. Enqiang Linghu, Chief of Gastroenterology at Beijing General Army Hospital is very pleased to offer Stretta to his patients dealing with GORD. "This is a proven solution for patients who still have GORD symptoms despite taking medications and want to avoid surgery. Stretta will be an important offering for our patient base as we see a lot these patients in our hospital," he noted. Wuman Zhang, principal of Kanglian Medical, agrees. "Stretta is positioned to help many kinds of chronic GORD patients, including those who have incomplete relief from medications, have extra-esophageal symptoms of GORD or have GORD after bariatric or anti-reflux surgery. Surgeons and gastroenterologists throughout China are eager to offer Stretta to their patients." Studies show that the prevalence of GORD as well as obesity, are on the rise in China. In 2014, The Lancet reported that China has the second highest obesity rate in the world, behind the United States. In addition to other more serious co-morbidities such as heart disease and diabetes, GORD is present in a much higher percentage of the obese population, at an average rate of 60-70 percent, versus 10-20 percent of the average population. In addition to China, other recent international regulatory approvals for Mederi products include: India, Brazil, Egypt, South Korea, Philippines, Sri Lanka, Costa Rica and Panama.